Vietnam spending 5.7% of GDP on infrastructure, according to latest CBRE report. Experiencing large-scale urbanization and with a positive economic outlook, the demand for infrastructure in Vietnam has intensified. Urban growth in the country has increased from 27 per cent in 2005 to 34 per cent in 2015, while the figure in Thailand was 50 per cent. Vietnam currently leads Southeast Asia in infrastructure spending, at 5.7 per cent of GDP, according to the latest report from CBRE. 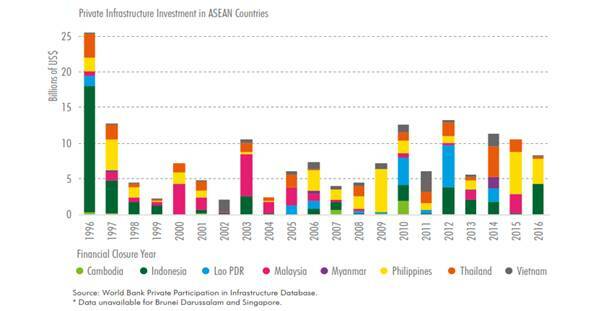 The report also identified a challenge to increasing infrastructure in ASEAN as being a lack of private participation. 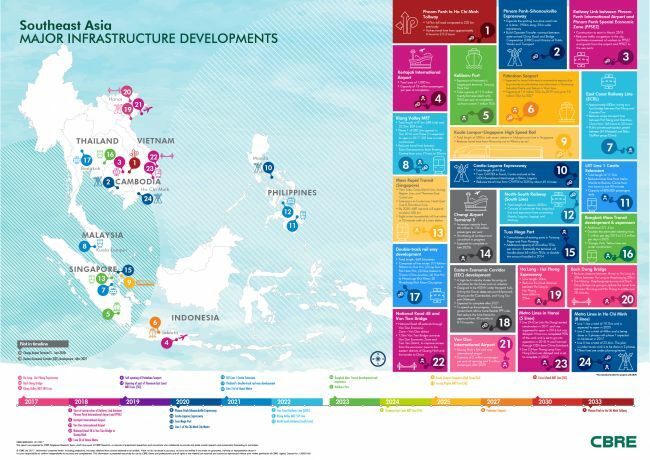 As noted by the Asian Development Bank (ADB), more than 90 per cent of Asia’s infrastructure investment comes from the public sector. The urban railway lines in Ho Chi Minh City and Hanoi are the largest infrastructure projects fostering the development of satellite economic areas. There are other significant ongoing projects, such as the Hanoi-Hai Phong Expressway, Bach Dang Bridge, Van Don International Airport, and National Road 4B, and projects in the early stages of planning, such as the Eastern Economic Corridor and the tollway connecting Ho Chi Minh City and Phnom Penh, Cambodia, which should benefit modern industries such as automobiles, electronics, tourism, agriculture, construction, and transport. Putting Vietnam in a regional context helps evaluate the potential effects of changes in the dynamics of the regional economy. 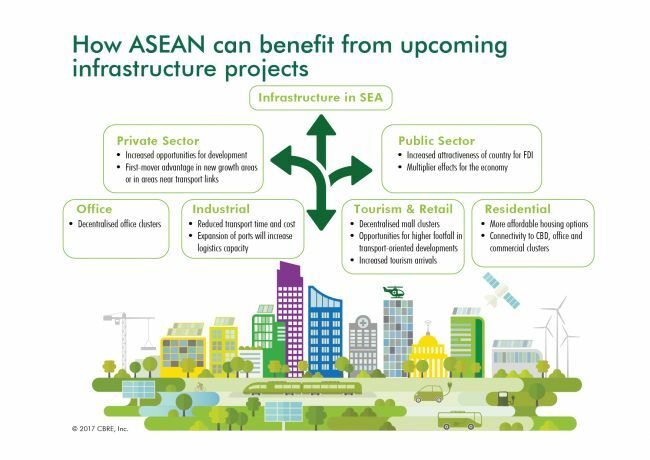 “The logistics sector should be the main beneficiary of ASEAN’s high levels of infrastructure investment in the short to mid-term, given increased connectivity within each country and between neighboring countries,” the CBRE report stated. In the longer term, decentralization within metropolitan areas and sub-national regions will provide plenty of opportunities for developers, owners, and occupiers. The report also highlighted various key projects in and between countries and discussed ways in which connecting the region would transform industries and the real estate landscape. The ASEAN Economic Community has a vision of liberalizing markets and improving the mobility by skilled people between countries. Individually, countries have been building up their own infrastructure prowess.